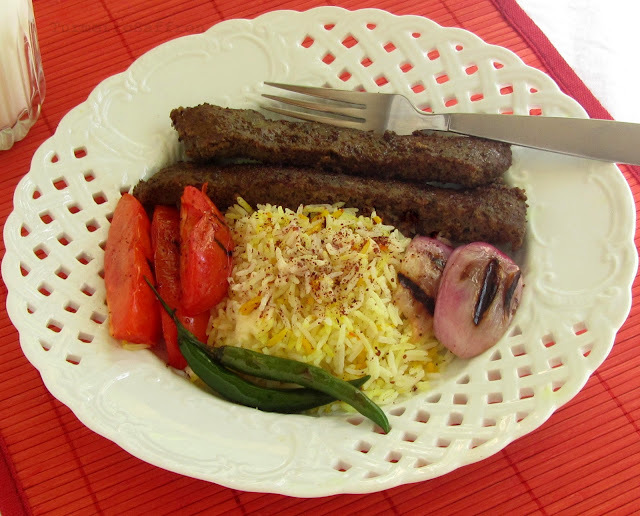 کباب Kabab/kebob is one of the great dishes for outdoor parties. There are a variety of kababs such as koobideh (ground meat kabab), barg (beef tenderloin), joojeh kabab (chicken) or fish kabab to name a few. However,since we haven’t had a chance to assemble our new grill yet, I have to settle for کباب دیگی/کباب تابه ای kabab deegi (stove-top pan kabab) for now. I don’t know of any Iranian who doesn’t know how to make kababs. I think the love of a good kabab along with the method of preparation and cooking was passed down to us through our genes from generation to generation! 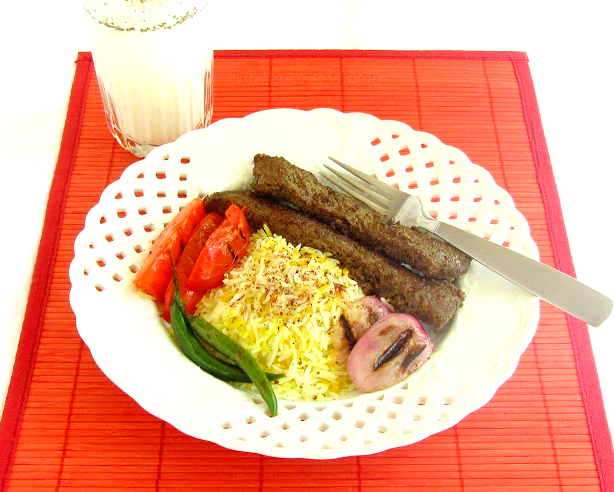 However, this recipe is for people like my daughter who one day might get tired of eating campus food and may want to try to make something quick, simple and delicious such as this kabab. Usually, we use 2-4 pounds of ground meat (ground beef, lamb or a combination of the two) for the flat metal skewer grilled kabab. Always making sure that there is enough food for everyone in the family and also having enough to serve an uninvited neighbor or a guest who happens to drop by unexpectedly. I must say this has almost never happened to me here, but it was very common back then when I was growing up in Iran. It won't take very long to cook the meat on the stove. You can also cook kabab deegi in the oven at 350 degrees Fahrenheit for 50-60 minutes or until fully cooked. In a mixing bowl combine ground beef, onion, turmeric, salt and pepper, mix well. Choose a medium-sized frying pan, add a tablespoon of vegetable oil, flatten the meat mixture into the pan, starting at the center and working it to the outer edges. Place the pan on the stove over medium-high heat for 10 minutes. 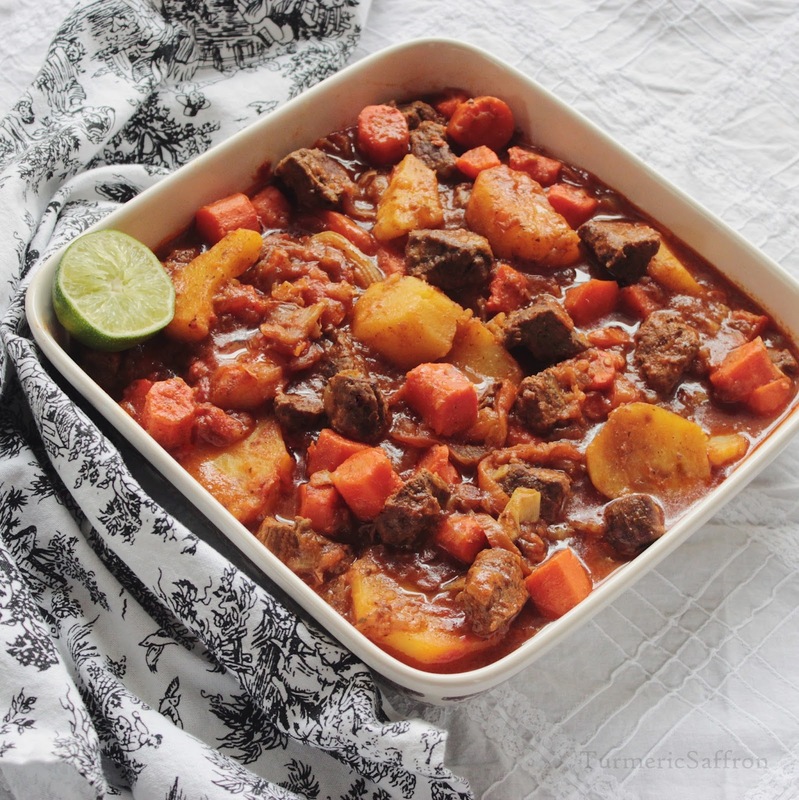 Cut the meat lengthwise into strips (or if you prefer like pizza slices), turn them over one by one and place the tomatoes into the pan, cover and cook for another 25-30 minutes on medium-low heat or until fully cooked. Sprinkle some sumac powder (available in Iranian grocery stores) on the kabab. 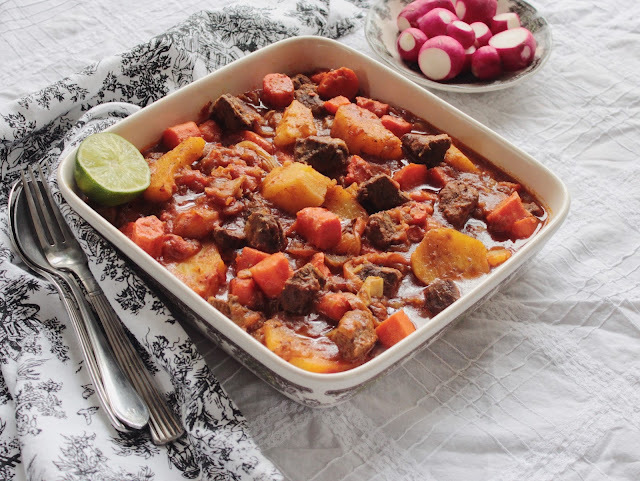 Serve with rice, sabzi khordan, sliced onions and yogurt drinks (doogh). This is another great variation of rice that is a staple in Iranian cooking. Even though I've had کلم پلو kalam polow in the past, I must say that I didn't particularly care for it until recently. I think liking cabbage is an acquired taste. Now that I have grown to like it, I add plenty to the pickles (torshi) I make. I eat it raw as a snack or mix it with rice. For this dish, vegetarians can skip making meatballs altogether. Cabbage rice is a rich and fulfilling meal on its own. And for those days when there isn't enough time to patiently make little meatballs, just use cooked ground beef instead, it’s equally delicious. Wash rice with cool water a few times. Soak in 4 cups of water, add salt and set aside for a couple of hours. In a mixing bowl combine the ground beef, 1/2 turmeric, 1/2 teaspoon salt and 1/4 teaspoon pepper. Mix well by hand and make mini meatballs. In a large skillet saute the chopped onions in two tablespoons of oil over medium heat until transparent, add 1/2 turmeric and stir. 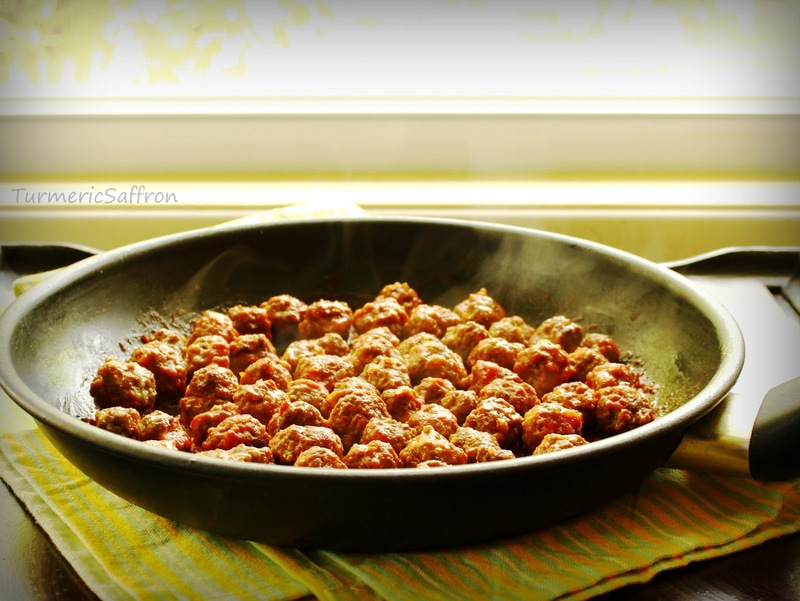 Place the tiny meatballs into the pan, brown on all sides, stir in the tomato sauce. Cover and cook for 20 minutes on low heat. 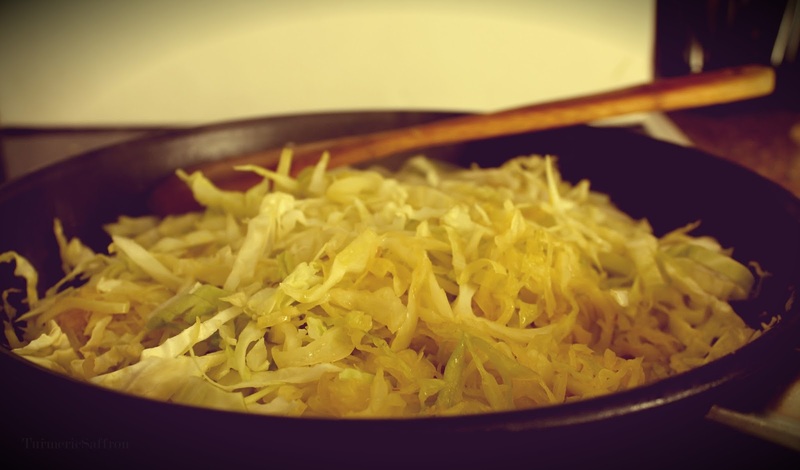 In a frying pan, saute shredded cabbage in 2-3 tablespoons of vegetable oil over medium heat for ten minutes or until cabbage becomes soft and tender, add advieh, salt and pepper to taste. Set aside. In a large non-stick pan that has a tight fitting lid, bring 6 cups of water to a rapid boil. Drain rice and pour into the boiling water. Bring water back to boil for 10 minutes. Test to see if the rice is ready. Rice should be firm in the center and soft on the outside. Drain and rinse with cool water. 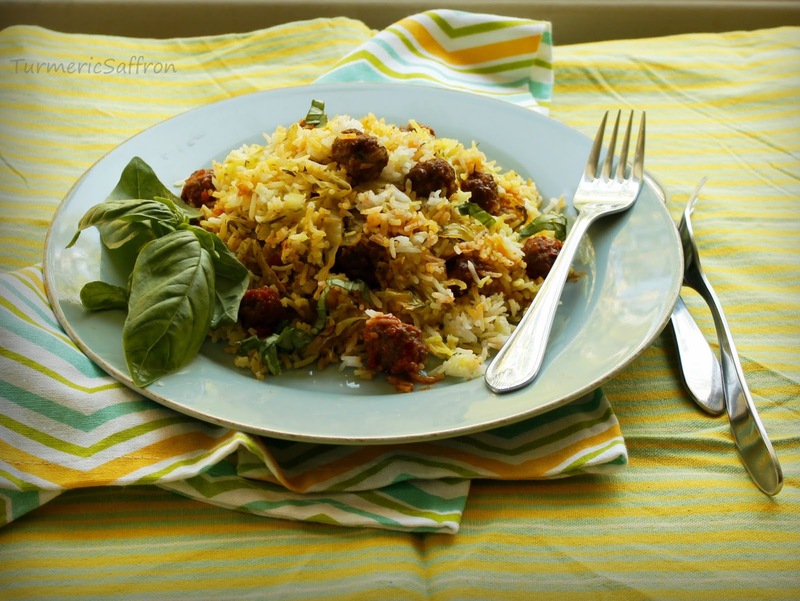 Wash the pot and return to heat, add oil and a tablespoon of liquid saffron to the pan. Place a layer of rice into the pan, then place a layer of the shredded cabbage, another layer of rice, building it into a pyramid shape. Sprinkle the remaining saffron water over the rice and in order to release the steam make 2-3 holes in the rice with the bottom of the spatula. Cook for 7-10 minutes on medium-high heat until rice is steaming. Lower the heat and steam the rice for another 50 minutes. 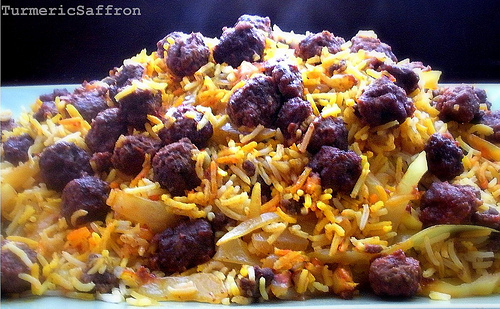 Serve kalam polow on a platter and gently spread the meatballs all over the rice. 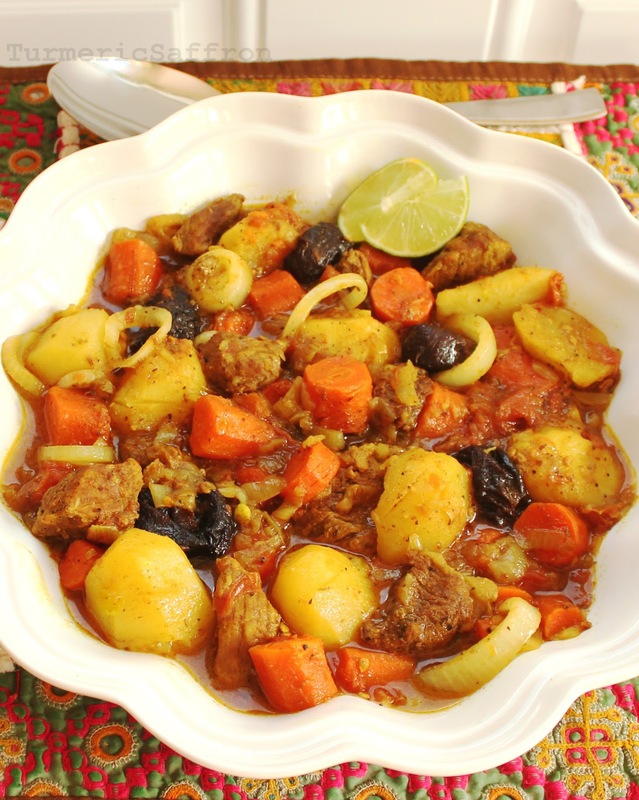 Serve along with mast-o-khiar and fresh herbs or torshi.